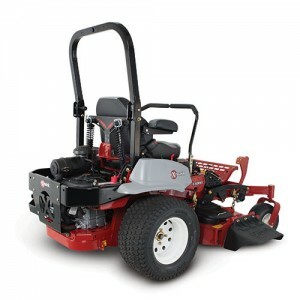 Exmark released a suspended operator platform for its Lazer Z commercial mowers. A factory-installed upgrade available on 2015 Lazer Z E-Series and Lazer Z X-Series machines, the suspended operator platform uses coil-over hydraulic dampers to reduce the impact of bumps and vibration. The design provides 3.6-inches of travel in vertical and fore-aft directions, with trailing arms to limit lateral travel and increase operator stability. The suspended operator platform includes a new seat that includes the company’s patented Iso-Mount isolation system, which provides a controlled .75-inch of lateral and .5-inch of vertical isolation. The new seat is designed with Elastomeric Vibration Control stretch fabric and plush foam padding, which the company said enhances the productivity and long-term comfort of the operator.